Both Geoff and Maya are being managed by Perry Lansigan’s talent management company, PPL Entertainment, where they met each other. 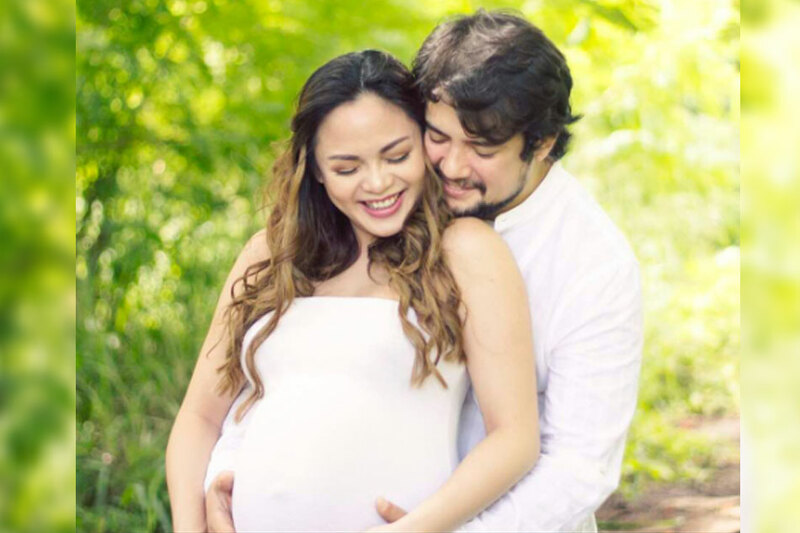 Geoff is the second son of Gina Alajar and Michael de Mesa. Their eldest, Ryan, have two kids and another one is on the way soon. Their youngest, AJ, is also married and lives in Las Vegas, Nevada. We hope Geoff’s baby will be a lucky charm and help revive his now dormant acting career. Meantime, other talents of PPL, Max Collins and Pancho Magno have announced that their wedding will be on December 11. Both the ceremony and reception will be held at Marriott Hotel. Pancho officially proposed to Max in Boracay on April 28. We congratulated his mom, GMA exec Redgie Magno, at the presscon of "Super Ma'am", and told her we won't be surprised if she'd be next in line. Among the bridesmaids of Max are her good friends Andrea Torres and the newlywed Rochelle Pangilinan. They will have their honeymoon during the Christmas holidays following their wedding.